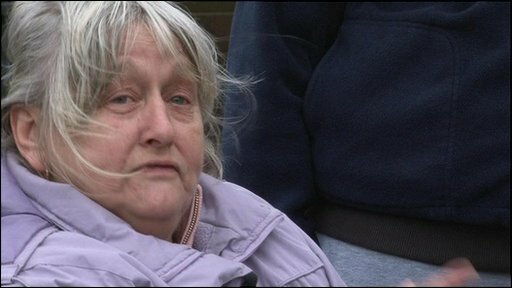 A woman is recovering after being hit by falling debris as she watched the demolition of the tower block in Leeds where she used to live. Marion Boyle, 64, was watching the work at Holbeck Towers on Friday when she was hit in the chest by rubble which bounced over safety fences. She was treated by paramedics at the scene as a precaution. Leeds City Council said demolition work had stopped while the Health and Safety Executive investigates. Ms Boyle said: "I was stood watching them take bits off the top and a lump came over the fence and smacked me in the chest." Councillor Matthew Lobley said: "I think it is fair to say that all of the standard processes took place, but this has been a bit of a freak occurrence for which I am very sorry to see happening today." More than 400 new homes are to be built and 1,241 will be refurbished in Little London, Beeston Hill and Holbeck.